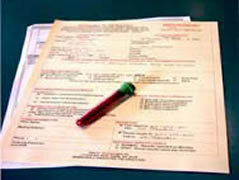 Hospital Shipping | Hematologics, Inc.
1) Complete Requisition, Attach Billing & Diagnostic Information. 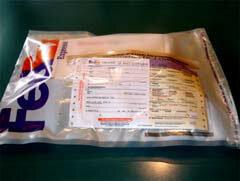 2) Seal Specimen in Biohazard Bag. Place Specimen in Shipping Container and Close. 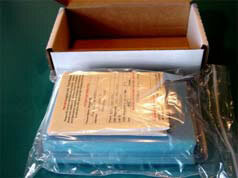 3) Place Completed Requisition with Billing Information in Second Biohazard Bag & Seal. 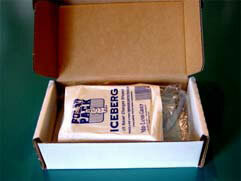 4) Place Iceberg Cool Pack on Top of Sealed Biohazard Bag and Close Shipping Container. 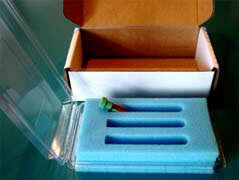 5) Place Shipping Container in FedEx Diagnostic Pack & Seal. Complete and Attach Airbill.